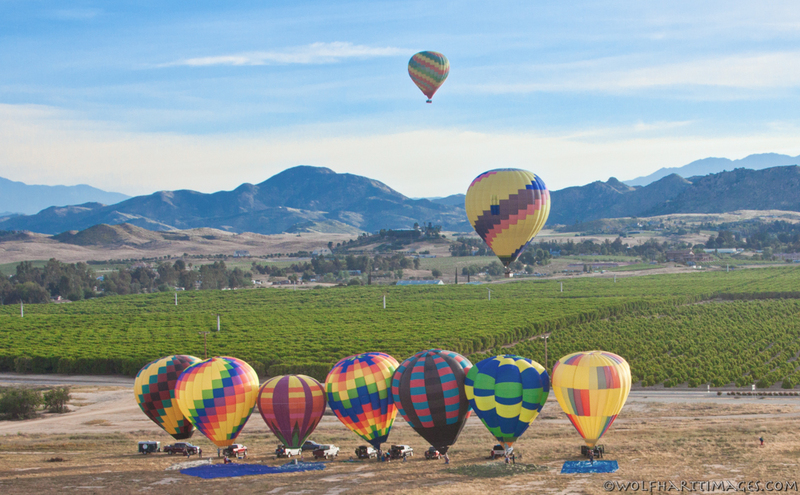 On Sunday morning Temecula became the site of one of the largest gathering of hoppers or basket-less balloons on the west coast. It all started with a casual inquiry on Facebook one month ago and grew to 8 hoppers and 1 chariot. 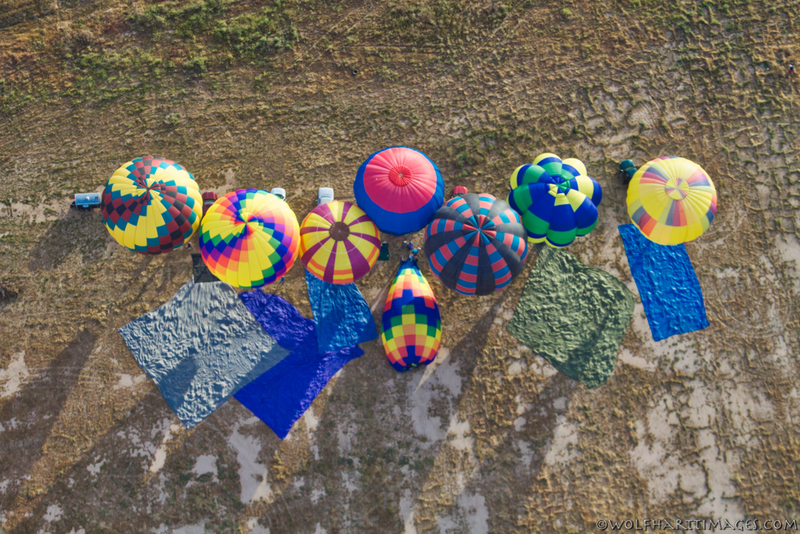 Fly-able weather is never a guarantee for any balloon event but no one could complain about it for either Saturday or Sunday. The volume of all the hoppers is equal to the volume of the large ride balloon behind them. The most consistent thing about Temecula in the morning is that it isn’t consistent but that played in favor of the balloons on Sunday by switching around and allowing 4 of the 7 balloons which flew to land back at their launch site. Calendars have already been marked for next year when the event will expand to be 2 days long.